The grant is part of the American Cancer Society's Tobacco-Free Generation Campus Initiative, funded by the CVS Health Foundation, to deliver the first tobacco-free generation by accelerating and expanding the number of campuses across the country that prohibit smoking and tobacco use. The Tobacco-Free Generation Campus Initiative is designed to reduce the number of people who get sick and die from tobacco-related diseases by reducing tobacco use among college students. The initiative's goal is to reduce access to -- and opportunities to use -- tobacco by increasing the number of universities and colleges that are 100 percent smoke- and tobacco-free. The grant will help Indiana University's students, faculty and staff develop and execute strategies toward a 100 percent smoke- and tobacco-free environment. The American Cancer Society will also provide technical assistance and other resources, including education, communications, support to quit smoking and evaluation. As one of 44 grant recipients nationwide, the Division of Student Affairs' Health and Wellness Promotion and the Richard M. Fairbanks School of Public Health at IUPUI will focus their efforts on improving awareness of the existing IUPUI Tobacco-Free Policy and products covered in the policy, as well as initiating systems for enforcement. They will also address social norms, helping people identify misconceptions surrounding tobacco use and internalize the fact that a majority of the campus community actually does not use tobacco, as well as provide cessation support to students, faculty and staff. IUPUI's project will reach across the Indianapolis campus and onto other IU campuses, including through Student Health Services, Orientation Services, and Housing and Residence Life. The IUPUI Tobacco-Free Task Force will also be reconvened. Additionally, they will develop intercampus opportunities to offer training and workshops, share best practices, and address areas of growth needed to maintain the project and tobacco cessation over time. 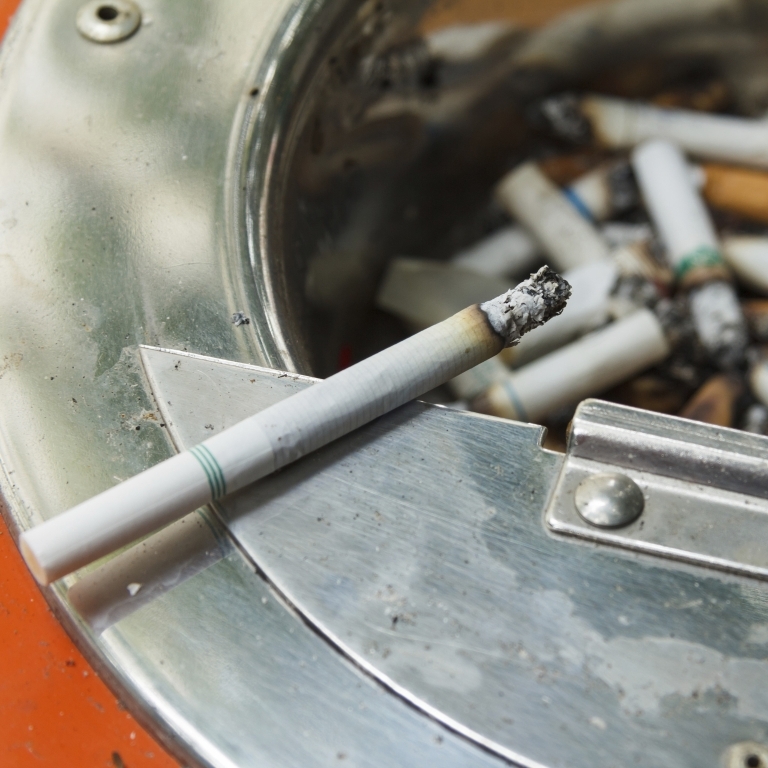 "Indiana has the 12th-highest smoking rate and the ninth-highest incidence of lung cancer," said Paul K. Halverson, founding dean of the Richard M. Fairbanks School of Public Health. "We need to do more to prevent smoking in Indiana, and our campus is a great place to start. Ninety-nine percent of all first-use of tobacco occurs before the age of 26. If a young person can remain tobacco-free into their twenties, most will never start to smoke. If we can prevent our students from using tobacco, we can improve not only the health of Indiana but the life expectancy of thousands of Hoosiers." "Tobacco is the single largest preventable cause of disease and premature death in the United States. Cigarette smoking is responsible for approximately 30 percent of all cancer deaths, killing up to half of its users," said Gary Reedy, CEO of the American Cancer Society. "By partnering with the CVS Health Foundation to create tobacco-free campus environments, we can reduce youth tobacco exposure, prevent students from becoming addicted, and ultimately, reduce the number of people who get sick and die from cancer and other tobacco-related diseases." TFGCI is part of CVS Health's Be The First campaign, the company's five-year, $50 million commitment to help deliver the nation's first tobacco-free generation. As part of Be The First, CVS Health and the CVS Health Foundation have set actionable and measurable goals, including a doubling of the number of tobacco-free educational institutions in the United States. For more information, visit the CVS Health Tobacco-Free Generation Campus Initiative website. "We are at a critical moment in our nation's efforts to end the epidemic of smoking and tobacco use, and expanding the number of tobacco-free college and university campuses is an important step in our efforts," said Eileen Howard Boone, president of the CVS Health Foundation. "We're confident our strategy will drive a significant decline in the number of new college-age smokers and contribute to the progress being made where a tobacco-free generation in the U.S. seems possible." According to a new survey from CVS Health, public support for smoke- and tobacco-free campus policies remains strong. The results released this week revealed that three in four Americans and eight in 10 current U.S. college students indicated their support for policies that prohibit smoking and other tobacco use on college campuses. At the same time, 57 percent of U.S. college students say a tobacco-free campus is important to them when considering applying to or attending a college. The findings come from a public opinion poll conducted in August by Morning Consult for CVS Health. The U.S. Department of Education reports there are approximately 4,700 U.S. colleges and universities, many of which have more than one campus. Yet only 1,611 campuses are 100 percent smoke- and tobacco-free, according to an Americans for Nonsmokers Rights analysis.